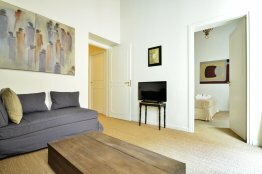 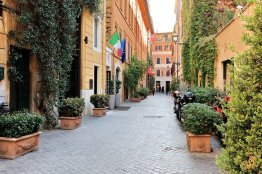 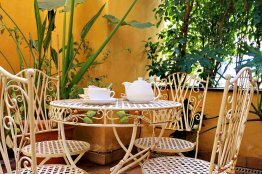 If you are looking for a comfortable and charming apartment for your stay in Rome, look no further. 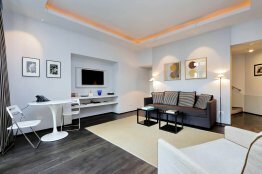 This is the perfect place to call home while you explore our wonderful city. 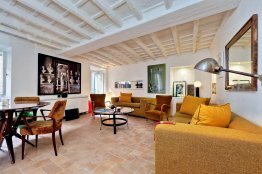 With two bathrooms and two bedrooms, the apartment is perfect for a family of four or a group of friends travelling to explore Rome. 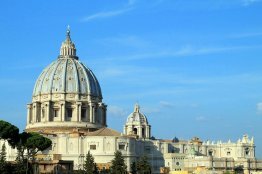 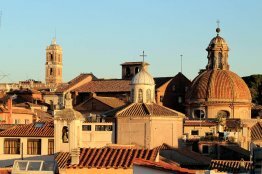 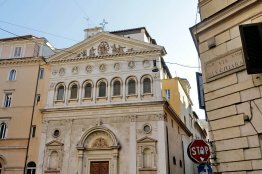 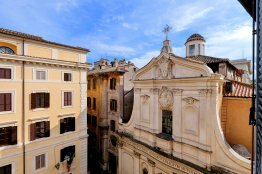 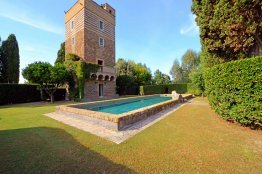 Rome historical watchtower invites you for a unique and unforgettable experience during your stay in the Eternal City. 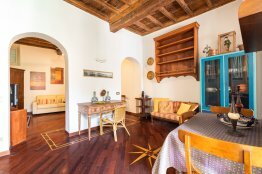 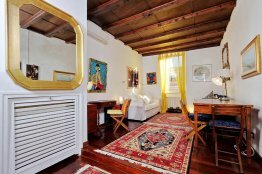 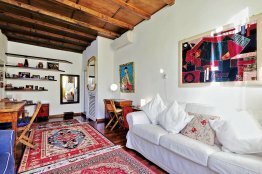 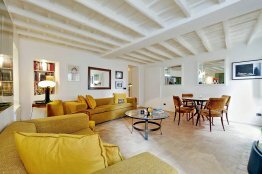 This Monti charming apartment is situated in the heart of the Monti area, on Via degli Ibernesi. 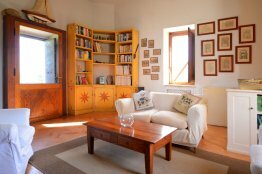 This place is ideal for writers and readers who seek a peaceful atmosphere. 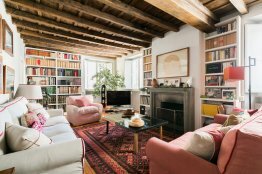 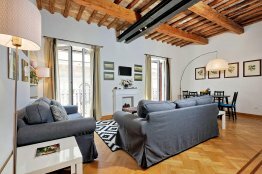 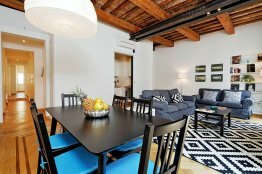 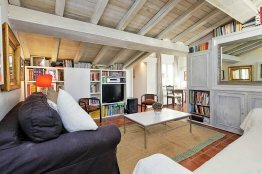 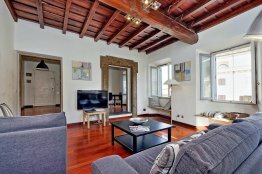 This stylish Rome loft for rent lies on a beautiful cobblestone street in the historic district called “Rione Trastevere“. 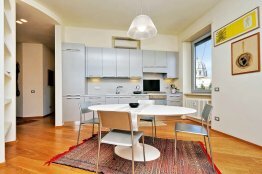 You will find this Monti Bright Apartment in the pulsating heart of the Rione Monti. 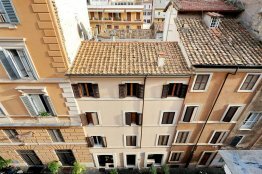 You can access the apartment on the 4th floor of a building without a lift. 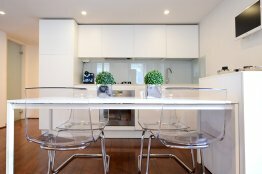 It boasts very luminous interiors. 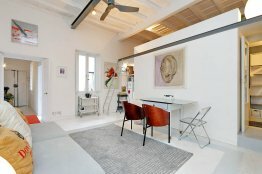 Its white painted walls and ceilings create a clean and open atmosphere.